Misadventures in Motherhood: Feed Me, Mommy: Blue Apron Giveaway! 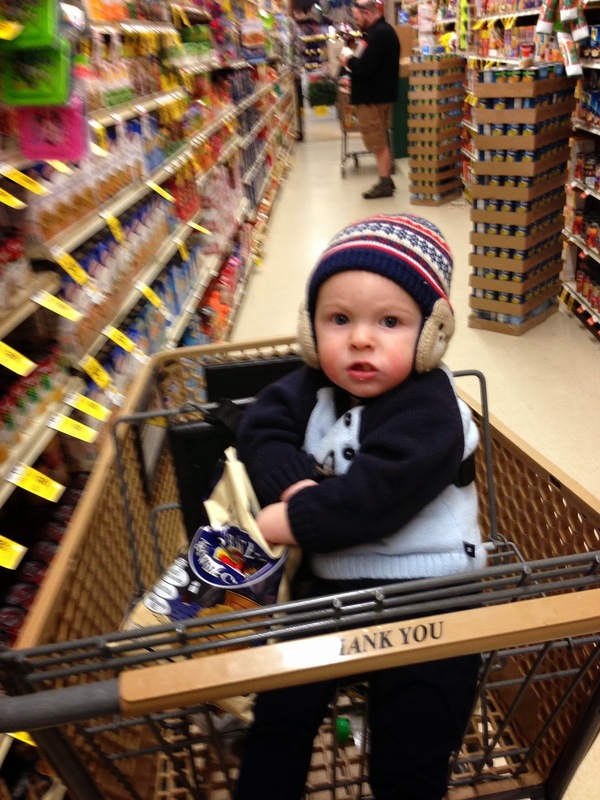 Friends, I never really truly appreciated the luxury of having time to grocery shop until I had a child. I didn't understand how lucky I was to be able to wander the aisles in a leisurely fashion reading labels and checking out new products. Heck, I even took for granted how nice it was to have time to go to the market at all! Well, I am currently nostalgic for the days of grocery shopping that involved tasting exotic cheeses and sampling ripe citrus rather than a ten minute mad dash with a screaming toddler who finds it hilarious to throw weird items into my cart (specifically from the Kosher aisle - it's like he inherently knows he's a Jew or something). Oh, and those supermarket-sweep experiences are on the good days when I've actually managed to get myself and the Muffin Man together to even get to the grocery store; there have been quite a number of evenings when I've found myself standing in the pantry with a can of lentils, half a package of gluten-free pasta, and a few limp leaves of spinach trying to figure out what to make for dinner before finally giving in and ordering takeout shwarma for the sixth night in a row. Well, my friends, I finally got smart a month or two ago and I signed up for Blue Apron. I don't know why I waited so long, but this service has changed my life. Blue Apron sends you a box full of all the ingredients needed to prepare three dinners per week, along with step-by-step recipes. The food is good, like really really good, and way more interesting than anything I would've come up with preparing when left to my own devices (I'm great at meatlaof and meatballs but that's about it). We've tried both their vegetarian meal box and their meat/poultry/seafood option, and so far we've had no disappointments. Oh, and did I mention the best part? It's only $9.99 per person, per meal. That's less than I would spend at the market if I ever had time to go there. In fact, the food is so good that I'm actually kind of depressed when we've finished all three meals and we're once again forced to fend for ourselves, but at least we're only eating four days of Middle Eastern takeout instead of seven. In fact, I'm so pleased with this fabulous service that I am giving away one week of Blue Apron meals for two! That's right, you could be enjoying delicious home cooked, gourmet meals instead of eating packaged macaroni and cheese for the fourth night in a row. By the way, I am giving this away as a token of my love for you (and to make up for my rant yesterday) and it is no way sponsored by Blue Apron. That's how much I love the service and how much I care about you, dear reader. So go ahead and enter to win - I don't think you'll regret it. Hi! Having a baby in 18 days buddy! I sure as eggs won't be able to get to the store once baby boy is born! Glad ur well! My girlfriend and I are celebrating our 1 year anniversary in exactly a week. Now I have always loved cooking and would actually enjoy pursuing a career one day as a professional chef. Of course such things require money and time...which as of now I have none of either. But my girlfriend is the most amazing, specially, caring, and beautiful person I have ever had the privilege of getting to know. She's done so much for me and been there when I have needed her the most. I would love so much to surprise her with a homecooked meal for once and just see her beautiful face light up the room. I appreciate you making such an offer to let us try BA and hope I can get to experience it for myself...cause I'm sure once I show her how amazing the food is, we will become weekly buyers. I wish everyone the best and to whoever wins, please enjoy it for me !